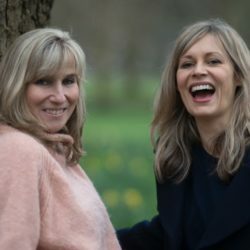 Having founded and enjoyed some success at her three previous production companies, Helen decided to jump off the cliff again – this time with director Joanna Bailey – and together they created the boutique production company Snapper. Snapper is designed to foster and nurture their small pool of exceptional talent but at the heart of it are the things that matter most to them – equality, belief and trust – it’s a huge but very incredibly rewarding investment. The essence of everything they do is humanity, with all its quirks and foibles – Joanna loves capturing it, Hel loves chatting about it, and they both like making films about it. And it’s always conveyed in the most interesting way they can find. In this climate full of change and uncertainty, they both wanted a future where creativity counts, bravery matters and creating work that connects is the mission. It’s a good time to be in charge of your destiny, independence is great, and it’s much more gratifying being David than Goliath.